Integrating machine generated data with eagle.io is easy, but what if you have a human in the loop? 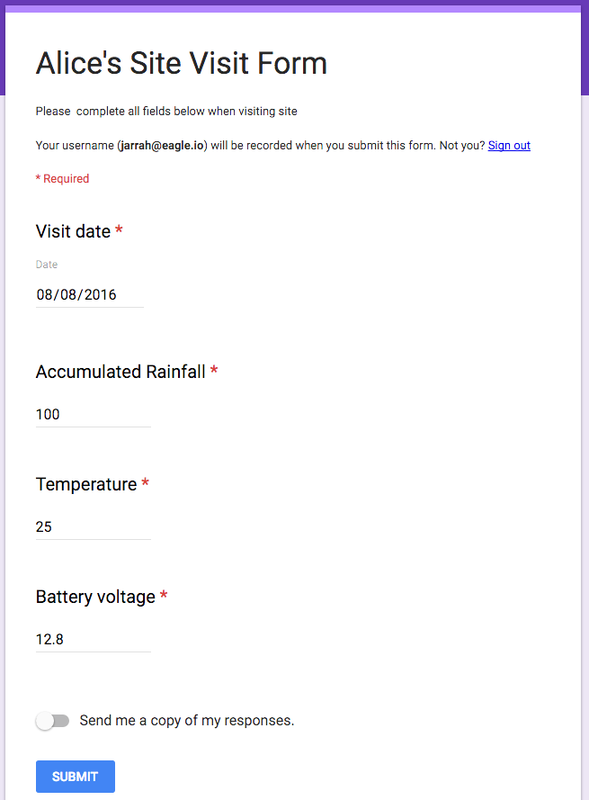 Alice visits a site once a week and takes a manual reading of accumulated rainfall, current temperature and battery voltage. Alice would like to see this data alongside her existing time-series data in eagle.io but needs an easy way to punch in the information. 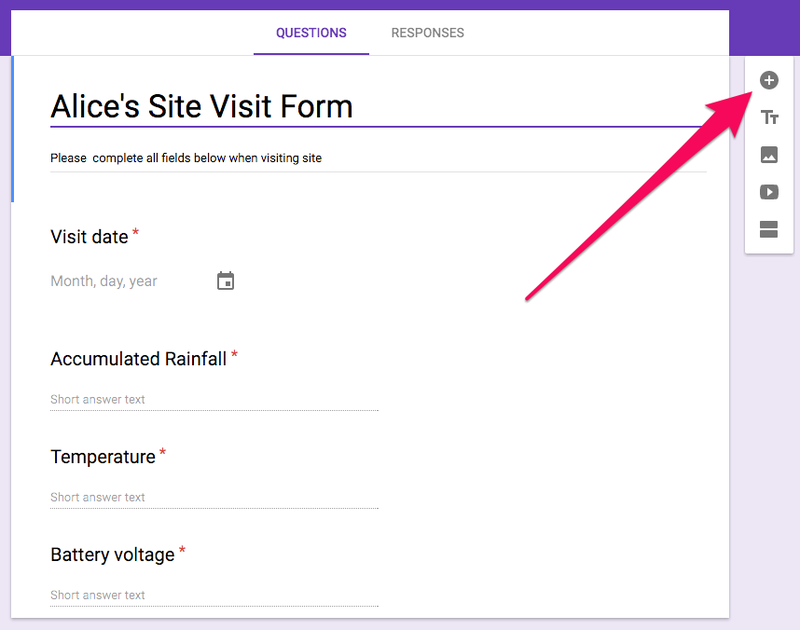 Google Forms makes it simple to input sample data. To get started, we will create a new Form with fields to accept the information Alice collects at each site visit. Every record in eagle.io needs an associated timestamp; for this purpose, we’ve included a Visit Date to capture when Alice made her weekly visit. We’ve also added fields for each of the three sensor readings Alice will take while on site. 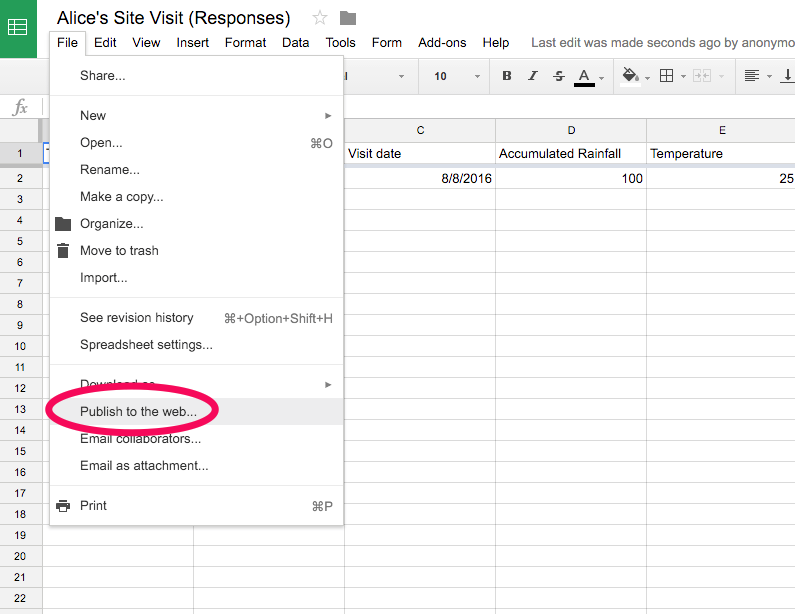 To store the information captured by our Form lets create a new Spreadsheet. Next, we’ll configure our Spreadsheet to publish the data; this allows eagle.io to access the information collected by our Form. 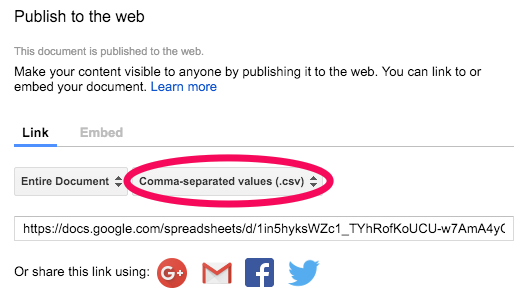 Choose CSV format and copy the URL to the published data. Finally, we create a new Data Source in eagle.io and configure the transport to download from our published data URL. Now the Form is linked to eagle.io and ready to use!